We have our first two “Evening of Wine and Equine” events of the fall starting in October. 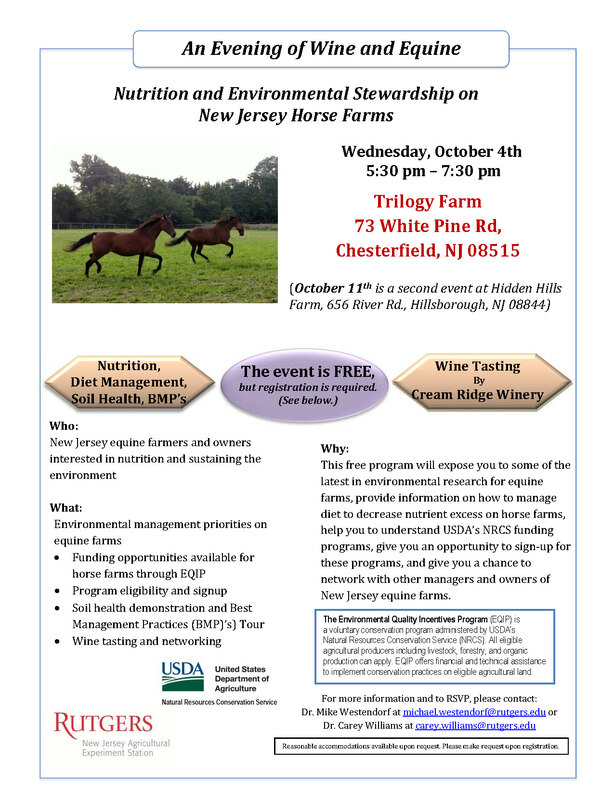 The first event will be on October 4th at 5:30 at Trilogy Farm in Chesterfield. 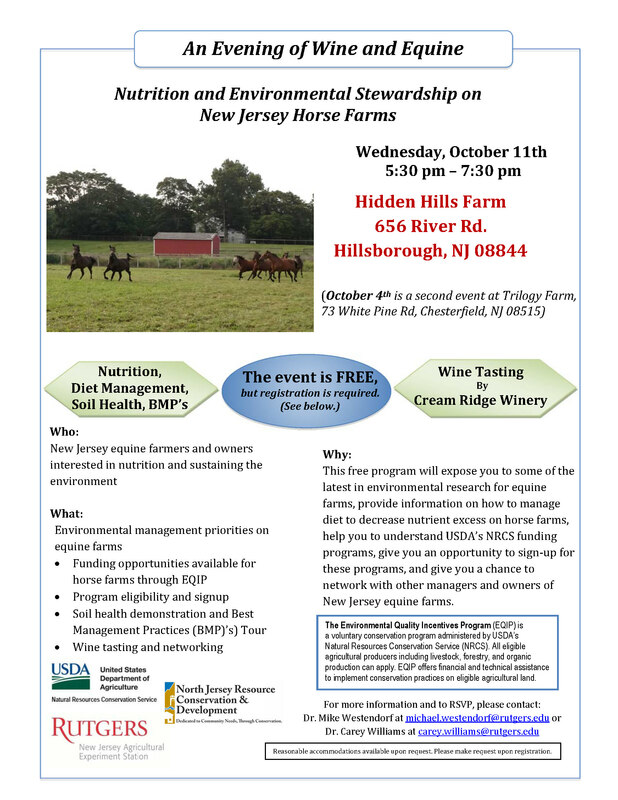 We have a great evening of equine nutrition and environmental management education paired with some wine tasting from Cream Ridge Winery. Don’t miss this event! It is free but registration is necessary to help the winery determine how much wine to bring. Please email Dr. Carey Williams at: cawilli@sebs.rutgers.edu with your name and the number of people in your party by Monday October 2nd at noon! If you cannot make it to the event on October 4th, we have another planned for October 11th at 5:30 at Hidden Hills Farm in Hillsborough. The program will be the same and again we have some wonderful local NJ wines from Cream Ridge Winery. Please RSVP to cawilli@sebs.rutgers.edu for this event as well. We will take registration for this one until Monday October 9th.